At a whopping 15cm tall these pretty little mountain orchids can be tough to find. I’ve stumbled on them randomly only a few times during my travels. Each instance I can’t help but to feel very fortunate for the opportunity. These tiny orchids have stunning details and a mind-boggling array of vibrant colors, if you take the time to look. There are lots of fun facts surround these delicate Orchids. A few of the highlights are nature’s natural medicinal use. 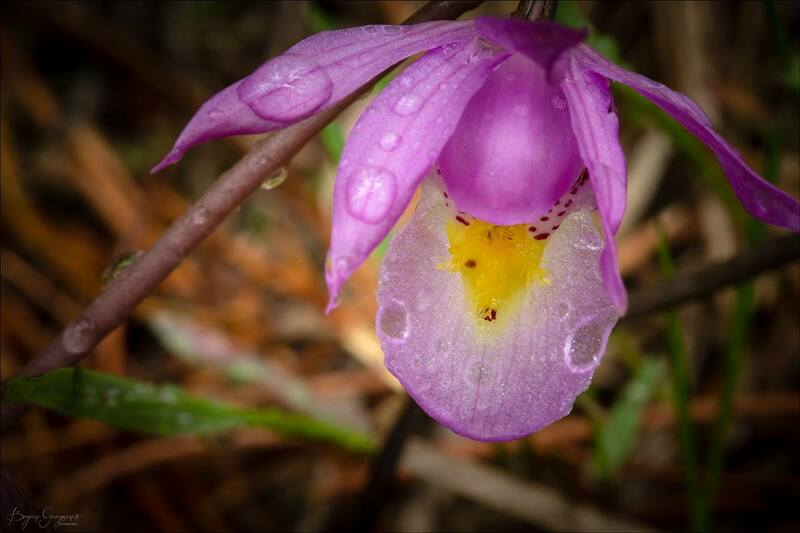 The Thompson Indians of British Columbia used the Orchid as a treatment for mild epilepsy. The bulb would be chewed, or the flowers sucked upon to help reduce seizures. The tiny bulbs are also used as a food source. A few weeks left to stumble on these cool little flowers around here, who knows, maybe I’ll be lucky enough to find another.